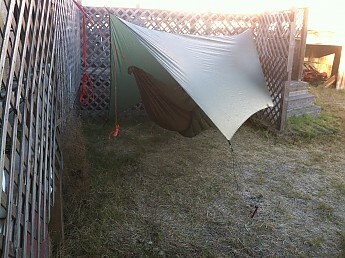 I needed a good tarp for my hammock that didn't weigh 3 pounds or was only 7 feet by 5 feet. The size was perfect and the weight was a joy for my back, and the cost will not break your wallet. 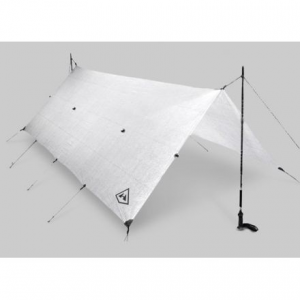 If you're a 3-season camper or need a lightweight option this may be the tarp your looking for. The reason for my need of a good tarp was for my hammock camping. I started out with good old blue tarp until I felt I was ready for a better tarp. 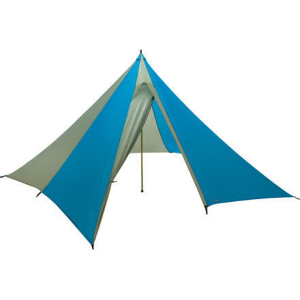 I checked around to find information of what other hammock campers use, and decided on the Tap Pol, I would also say price had a little to do with my choose. if you contact them (Marty) will respond very fast; the same day and will try to help you making a inform decision. I found information that was needed to make a correct decision for my needs. The size I got was 144 inches by 92 inches. 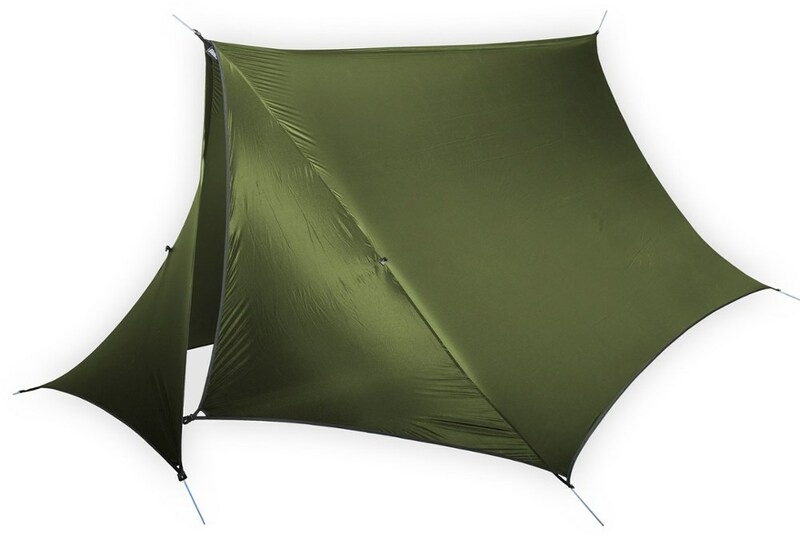 The weight of the tarp is around 13 ounces, comes in four colors and you can make it almost any way you want, lots of options. If you follow the link it will take through the order process without making order. When I received it I wasn’t disappointed. I did practice at home to setting it up and breaking it down, I would estimate about 15 times. The ridgeline setup gave me some problems until I figured the best way for my needs. Here are a few pictures that may help you. This was only testing my abilities to set up and take down the trap. The lines that are used in the pictures are too long, but I needed to understand before I went out in the field. I also set this up in the backyard, and camped four times. I have to state that after one I was an expert, after my third time I was still learning. I had problem with dew in the morning on my third time, which was caused by my space blanket on the ground, but if you leave the dew alone it will not drip on you. 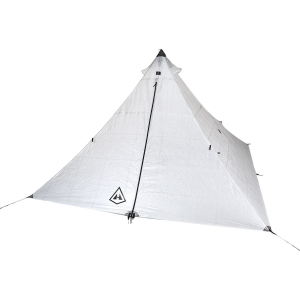 Also you should have something to wipe the tarp down before packing, but most likely you need to keep it the outside of your pack for a while to allow it to dry down. I use figure 9’s to secure the tarp with MSR Groundhog stakes, but I am going to change the figure 9’s because I am better at knots now. The four outside lines are 10 feet long, but now they are 6 feet. The Ridgeline was 50 feet and has been changed to 25 feet. In the field I didn’t have any problems or failures. I only use one hiking stick and I set the stick were I have a view of my camping area. 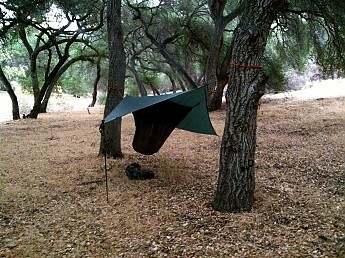 I am very happy with this tarp; the size is perfect for me; great support from Wilderness Logic. The other thing is after a while if you want to modify it, just contact them and they will tell you how much and when. 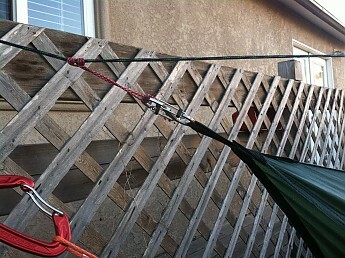 The reason I went with the longer tarp was my hammock is 11 feet long, about 1 foot longer then normal. I am a 3-season camper and 4-season hiker. The only other thing, I would have changed my order to tri-loops (allows better tie downs) which cost an extra $10. The tarp cost was $105, the 134-inch is $90. 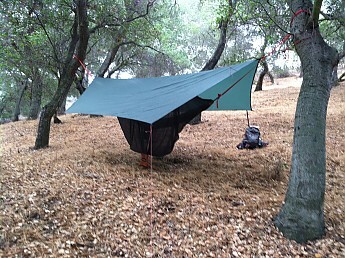 I enjoy this tarp a lot, and it gives me more freedom in the great outdoors. Mike, I love to see cottage industry vendors reviewed and promoted on TS. Thanks for the great review! I like to try new vendors, they are great. The Tad Pole is amazingly easy to use, very light, and most importantly waterproof. 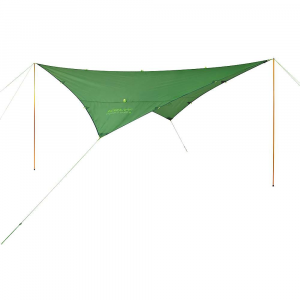 It covered my 9' hammock and kept me bone dry on a recent trip when the skies opened above me. This is an American made product from a small company, which I try to support whenever feasible. There are options (poles, additional pulls,etcetera) which I didn't use, but it's good to know they are available. UL backpackers will like the near weightlessness, and kayakers will like how it takes up virtually no space in the boat's hull. I'm ordering a second one soon. Dealing with Wilderness Logics was a breeze. Their website is easy to navigate and there's good details on their products. I was a bit nervous about the Tad Pole arriving on time, so I called the number listed on the website and got Marty directly. I have no idea who Marty is but I feel like I could have a beer with him. He told me exactly when the tarp was shipped and when it would arrive. Maybe I should take him to a casino with me. 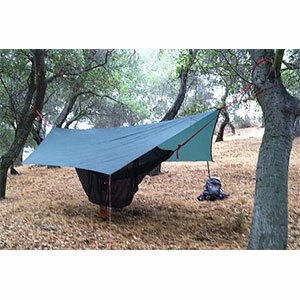 The tarp is very light, so backpackers will love not even knowing it's on their shoulders. Kayakers will love that it can be shoved into a tiny space in the hull of their boats. The tie-down loops are solid and intelligently designed. The material is waterproof, and the fact that I set it up upside down in a raging storm didn't matter at all. Did I mention the storm? 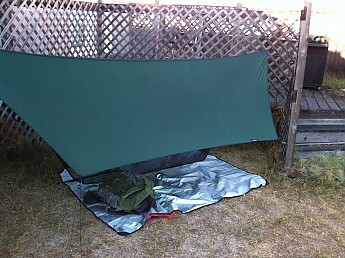 The tarp comes with optional add-ons, but I went with the basic 9' with no options. No doors, poles, extra tie-downs for me. I did order a 6-pack of stakes, which I really didn't need, but I got them anyway. They are lightweight, and bright red so they were easy to see the next day when we broke camp. The storm the night before kicked up some serious mud and covered everything close to the ground. The stakes were covered but not hard to find or pull up thanks to the pula-strings on them. That storm...wow! The forecast was for 30% chance of rain. We got a sky-opening, ground-drenching, tree-swaying, crazy night of a thunderstorm! 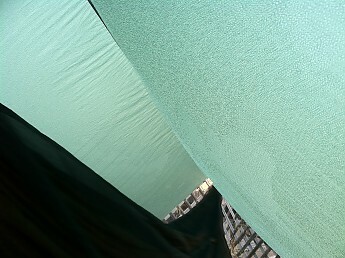 Do I climb into the dry tent with my daughters or do I see this thing out? I was in a down bag, which cannot get wet. I decided to get my money's worth and ride out the storm under the Tad Pole. Coolest idea I've had in a long time. I was completely dry the next day and the down sleeping bag was dry as well. The Tad Pole cost a few bucks more than other big name brands but I am very happy to support an American small business that keeps Americans working. Wilderness Logics is a great company to do business with so I am ordering another one very soon. Welcome to Trailspace, Fmike Kelly. Thanks for the helpful review of your tarp. I'd love to see some pictures of it in your review. I'm glad you didn't get drenched! Condensation is horrible... anything to keep dry! The Wilderness Logics Tad Pole is not available from the stores we monitor.